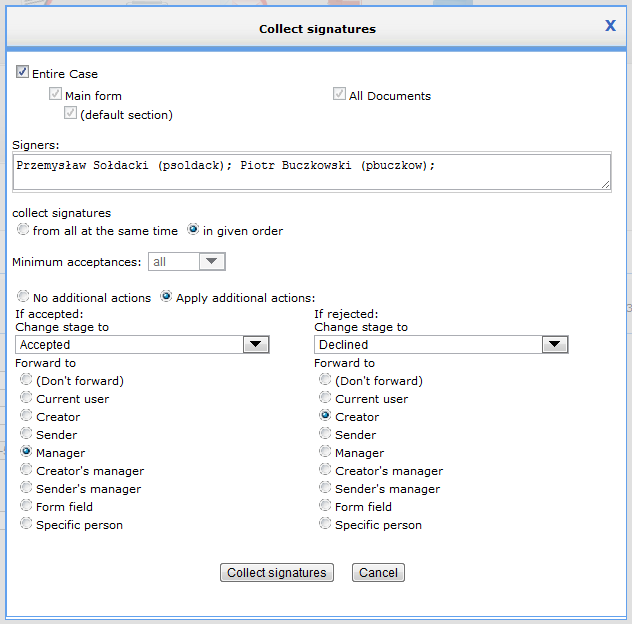 Functionality of collecting signatures was present for some time already. But now it is extended with possibility to define what will happen if the whole process with finish with acceptance of rejection. So from now on you can not only define who should sign the case (or part of it) and ask them one by one or at the same time.